Additional Info: Wall mounted TV/DVD in every room, Full wrap around Decking. Utility room. 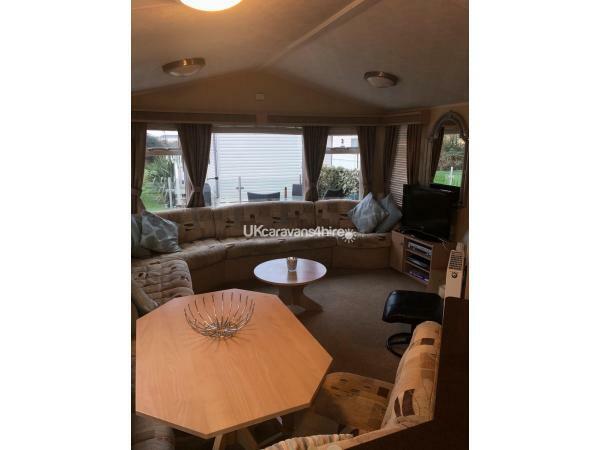 3 bedroom caravan, 8 Berth With double glazing and gas central heating. 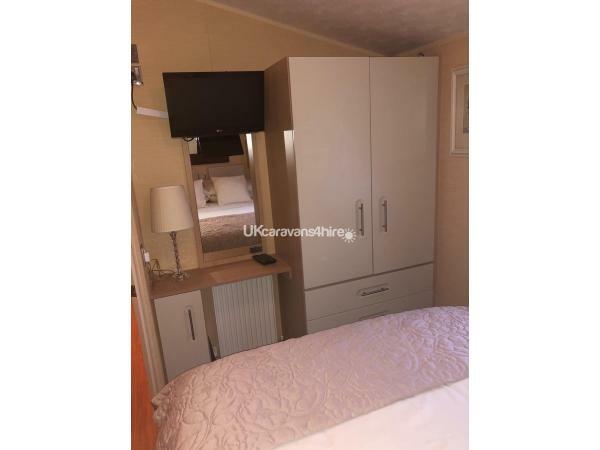 1x Master Bedroom with king size bed and fitted double wardrobes. 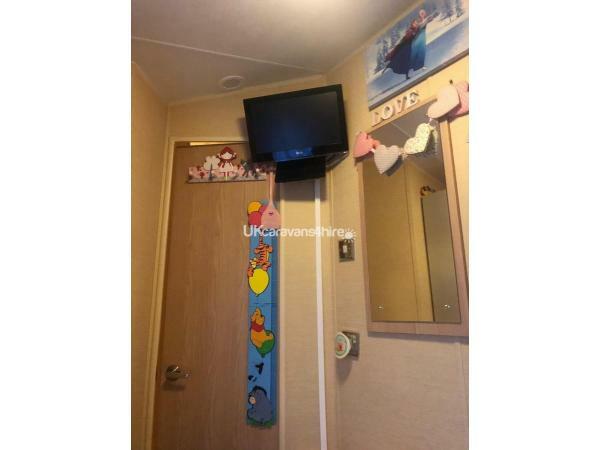 With wall mounted tv/dvd player. 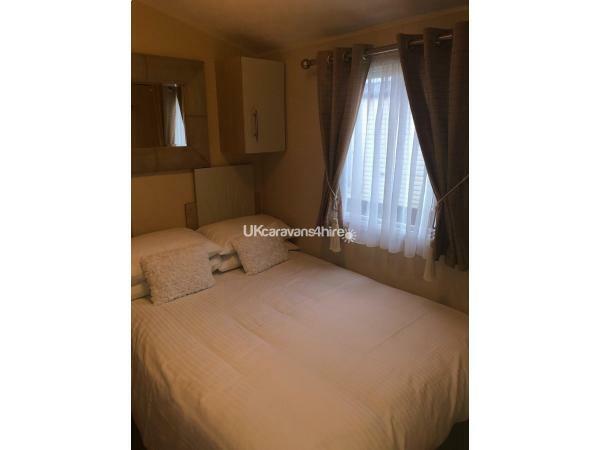 1x Bedroom with double bed and single Fitted wardrobe. 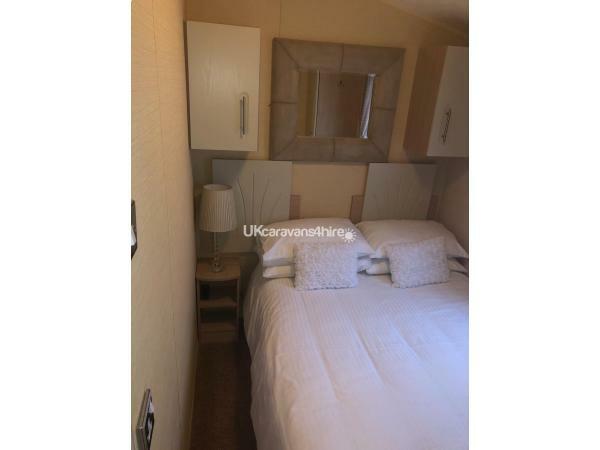 With wall mounted tv/dvd player. 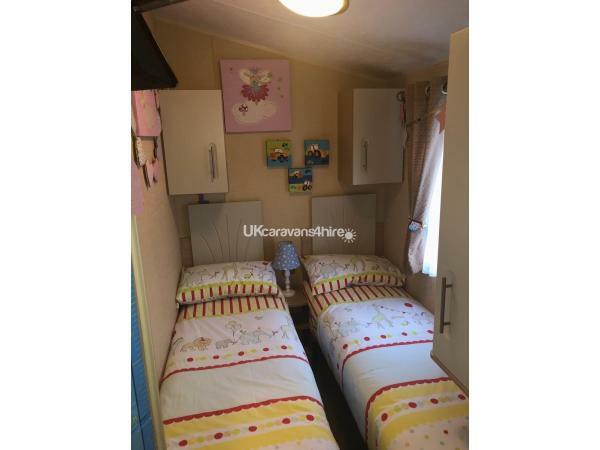 1x Bedroom with two singe beds ideal for children. 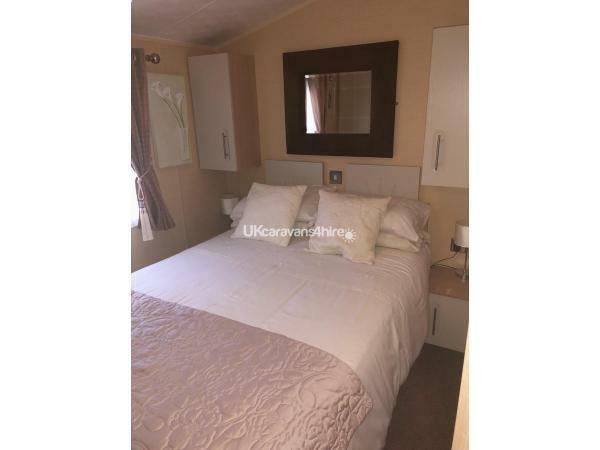 1 x Main bathroom with a large shower and toilet. 2nd separate toilet with basin. 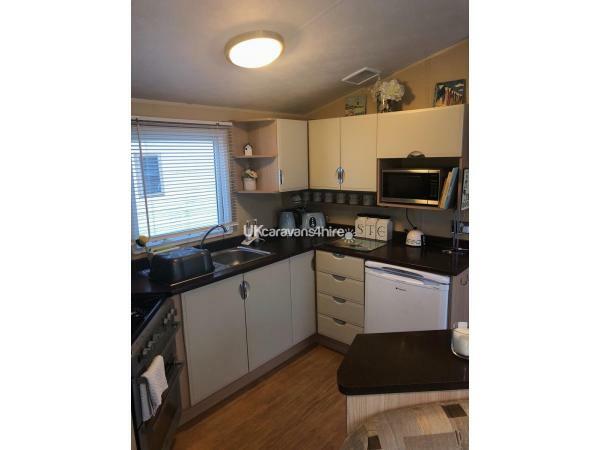 Has a Gas hob and oven, microwave, fridge, kettle toaster fully equipped. With a large fridge and freezer in the utility area wash machine. Gas fire, 35” plasma tv, dvd, cd player. 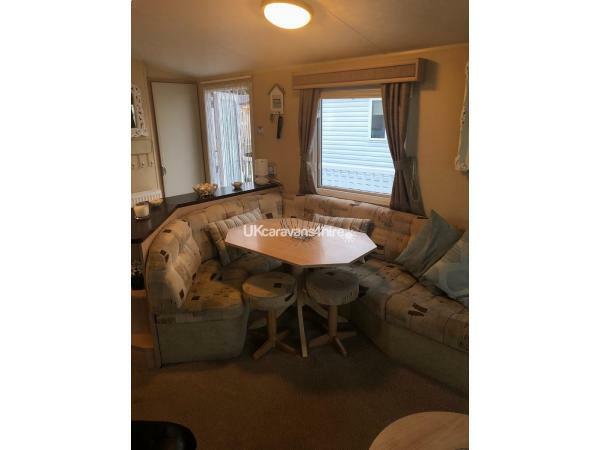 Pull out double bed with large seating area. 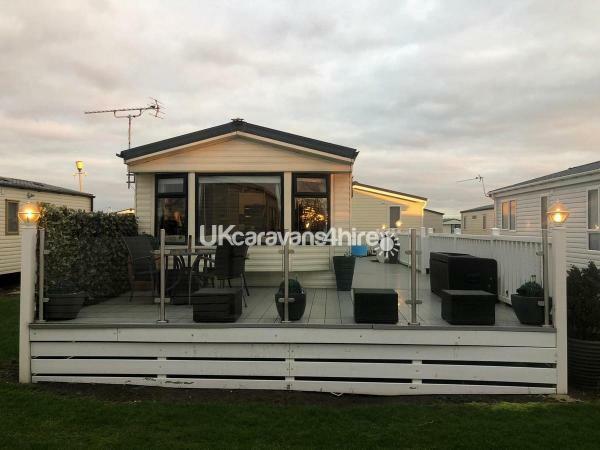 X-Large glass fronted Decked area around the L shape of the caravan. Which is fully lite for a relaxing evening meal or glass of wine.You have your own parking bay. 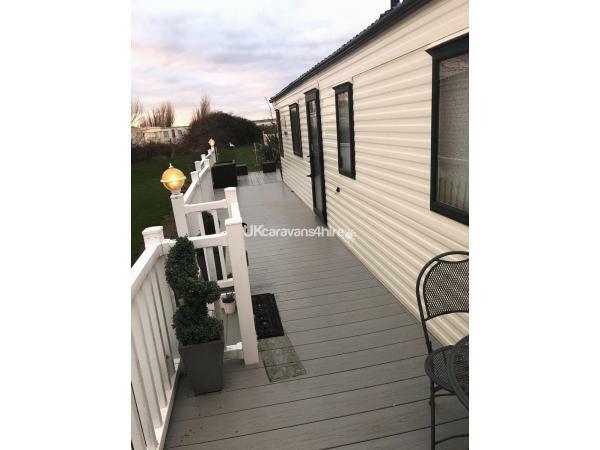 Park Dene Resorts at Camber Sands offers great facilities. A weekend or weekly pass can be purchased for a fee from Park Resorts reception area. 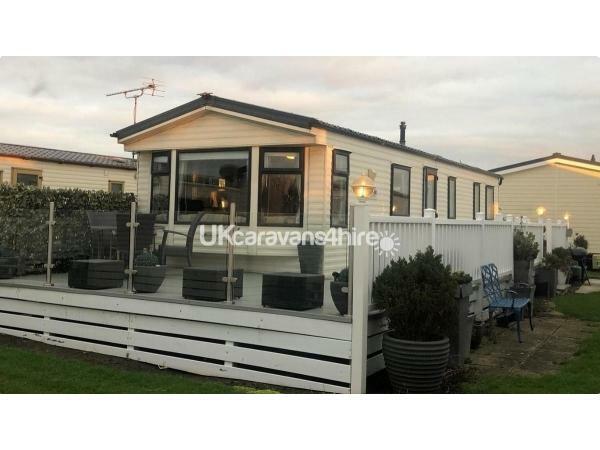 £150 deposit will secure your holiday this will be refunded once you have left and the caravan has been checked. Sorry but no pets and no smoking.